It was a good day for a ride, and I'd been planning to do this for a while. Mt. 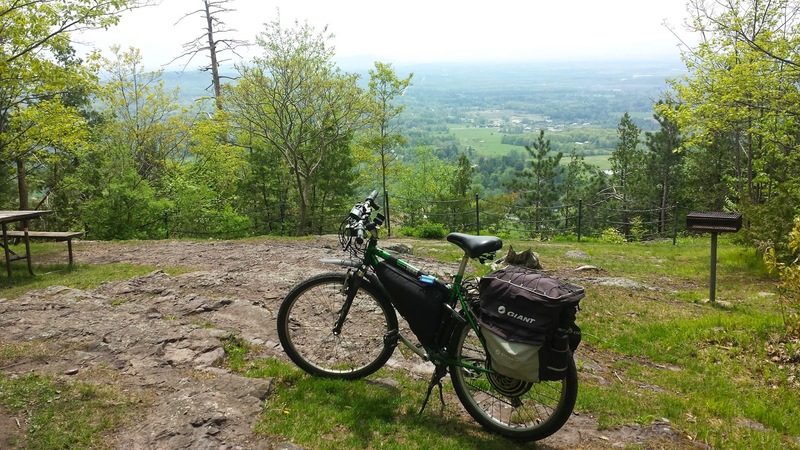 Philo is located in Charlotte, VT and has a car road that is a 968 vertical climb to the top. My father-in-law's place is right nearby, so I had a convenient way-point for recharging as well as s place to work on something if I had a failure. 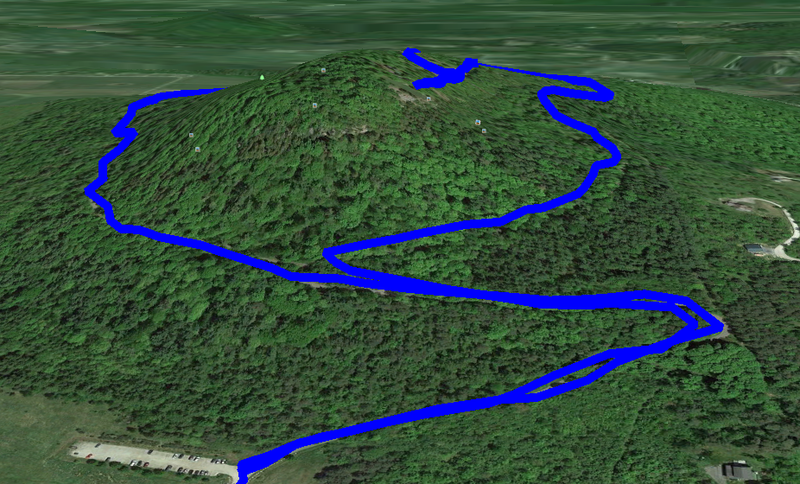 Track from my GPS as I rode up, and then down the Mt. Philo motor road. I headed out in the morning, and rode about 11 miles (using 9AH, just under half of my battery charge) to my Father-In-Law's place. After charging for about 2 hours, I headed up the mountain. The ride was, overall, pretty smooth. 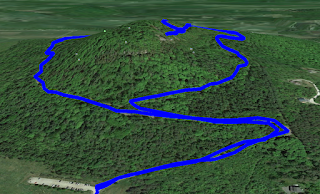 There was one trip up at a notably steep portion, wherein I ran out of steam and didn't have time to downshift. You can see me stop the bike in order to get it into the right gear. 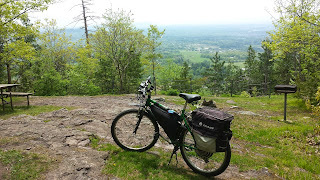 I would say about 1/3 of the climb was only possible with my pedaling. The weakness in the setup was definitely the direct-drive hub motor, as that is not designed for serious hill-climbing. It was still fun to put it to the test. The controller and wiring was (expectedly) pretty warm, but everything was in good shape. No blown fuses. Used about 2.6 AH (2.4 after regen from braking on the way back down). Hub motor was hot, but didn't burn up. Here's the trip back down, doing lots of regen! Seriously, I would NOT have wanted to attempt this before I had regen, solely due to the amount of brake pad wear that would have been involved. With the regen, I barely had to use my brake pads at all. It was also somewhat more comforting knowing that I had two separate braking methods.